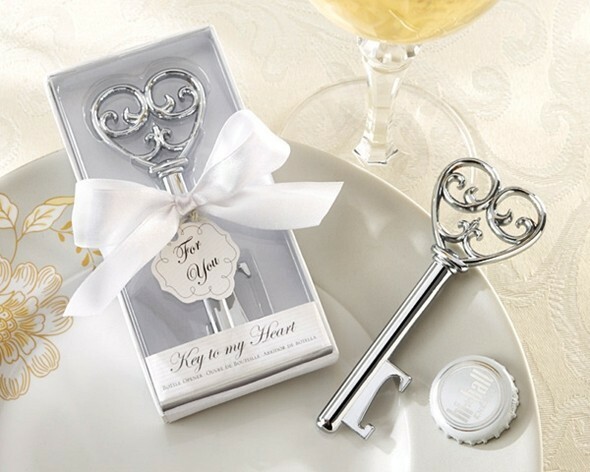 Give the key to your very own heart with this chrome key bottle opener. A small token of your appreciation that will be cherished by any guest. Personalized tags for your favors are available separately as Product Code: AK-31001NA-03-W.
"Thank you so much for your prompt response to my email. Your service has been excellent, and I will definitely buy wedding accessories from you again." Karen L.